More than 40 years experience in the development of welding robots and planning of production plants appear in a extensive range of system modules. 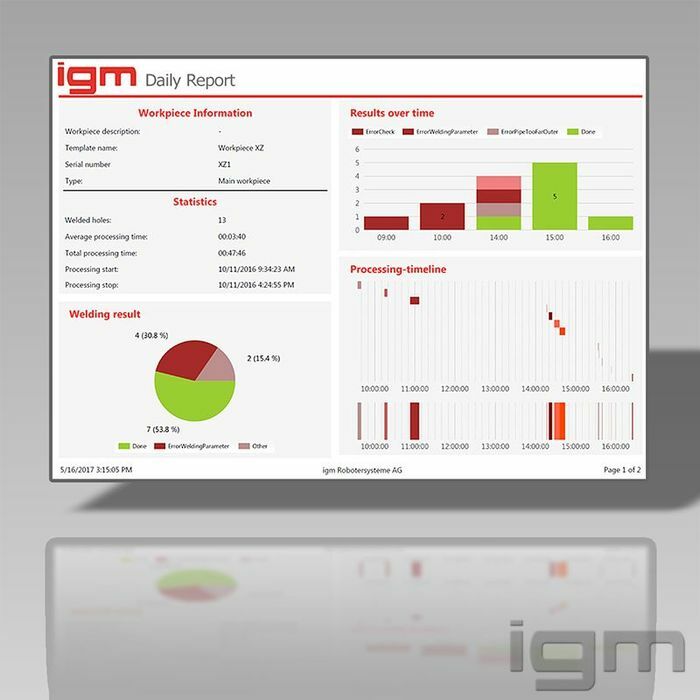 The main module is the igm robot series RTE 400. Outstanding programming techniques with both the K6 programming teach pendant and the offline teaching system. Large work zone and perfect welding access to seam positions due to an optimal axes geometry and mounting of the welding torch in the wrist axis, implemented as a hollow shaft. All cables are inside the robot arms using hollow shafts. The control system is a fully digital controlled system. This means there are only digital signal processors (DSP) involved in the entire control system and not any analogue electronic component. 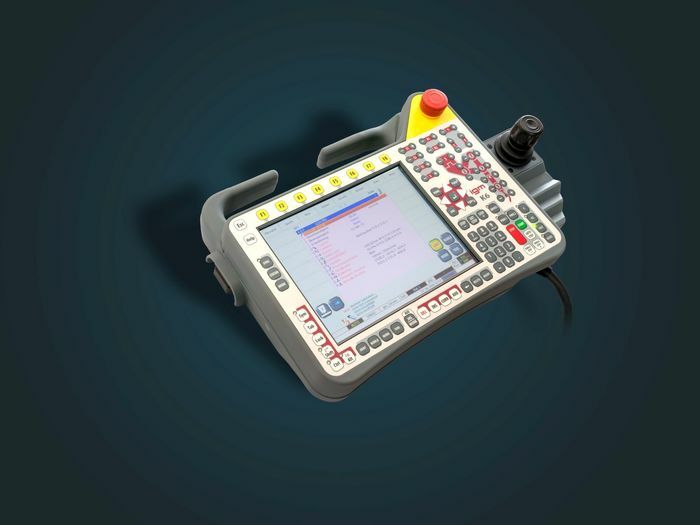 All the components of the control system (such as control cabinet, welding power source, each axis and the teach pendant) are linked by a digital bus system. Operational availability of the robot installation for production is increased by using an off-line system for generating robot programs. While saving time, programs may be prepared more conveniently in an office environment and simulation test runs (accessibility, computation of cycle time) may be performed. Collisions of the robot with the workpiece or fixtures may be detected at an early stage. Simple robot programming is available through the self developed PC-based off-line programming system, using the original software of the robot control system and the teach pendant K6. This tactile sensor is used to determine the workpiece position or its components and individual parts by gauging the surface of the workpiece. In each case, the successional part of the program is shifted according to determined deviations. 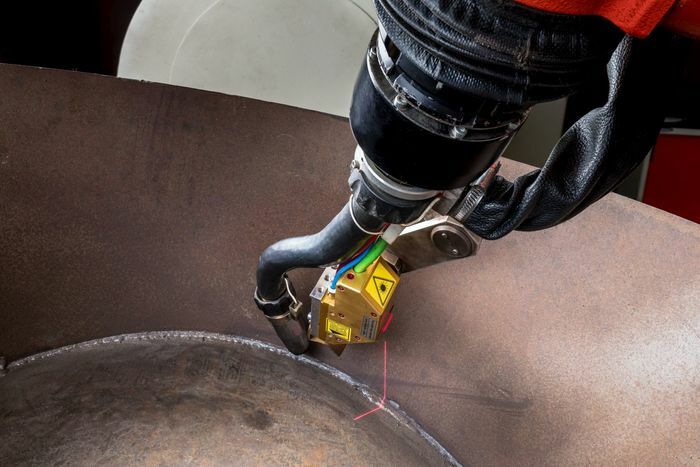 Sensor shifting may be applied for correction of an arbitrary amount of individual points, entire sections of a welding program or entire programs. Combination with arc seam sensing is feasible. The control system supports shifting, rotating, and tilting of a program, depending on position change. The robot is mounted on the robot periphery in an upright or suspended position. 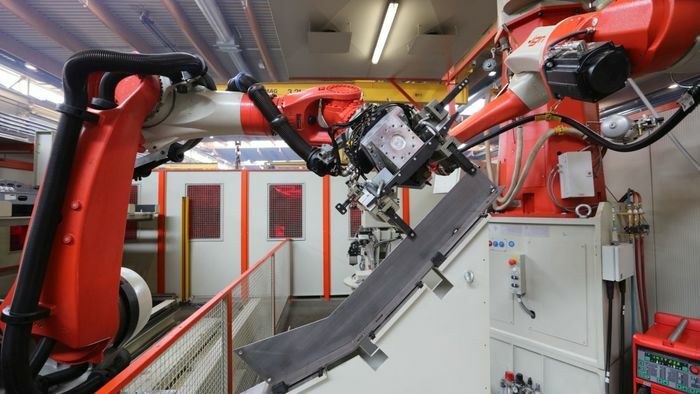 The external axes of the track systems are fully integrated in the control system as NC axes, significantly extending the working area of the robot. A variety of different rotating and linear units are available, either as single axes or combined with up to three positioning units. It is also possible that several robots share a track axis. The positioning range of a longitudinal axis is up to 100 m and more. The igm compact systems are optimized for arc welding applications in all mechanical aspects as well as the control hardware and software. In this combination of work piece and robot peripherals, the entire system is kept compact, since the robot changes workstations simply by pivoting the rotary arm or - in other configurations - the work station cahnes is performed by a rotary table. For special applications, igm produces customized welding systems fulfilling your individual requirements. The applications successfully installed range from gas bottles machines, flexible manufacturing cells to complete production lines. In these flexible systems more than just the welding technology is required: loading, conveying, stretching, bending, cutting, measuring, manipulating, editing, storing, unloading, controlling. Complex manufacturing tasks require flexible solutions. 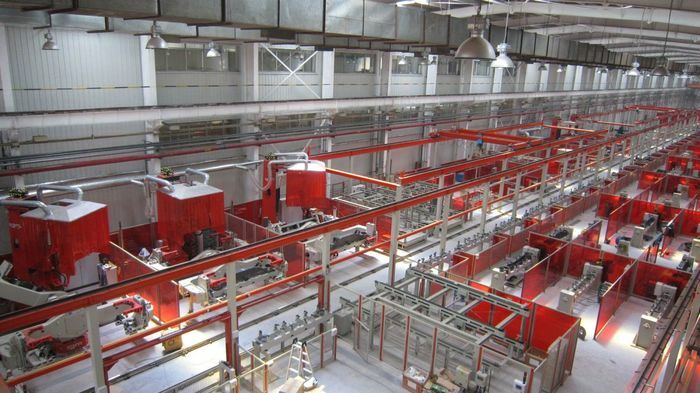 Since many years igm is experienced in engineering and realisation of full automatic manufacturing lines for various piece parts. For additional production requirements we provide handling devices, we develop special purpose machines and take care of your whole project as a main contractor, from order placing up to final commissioning . 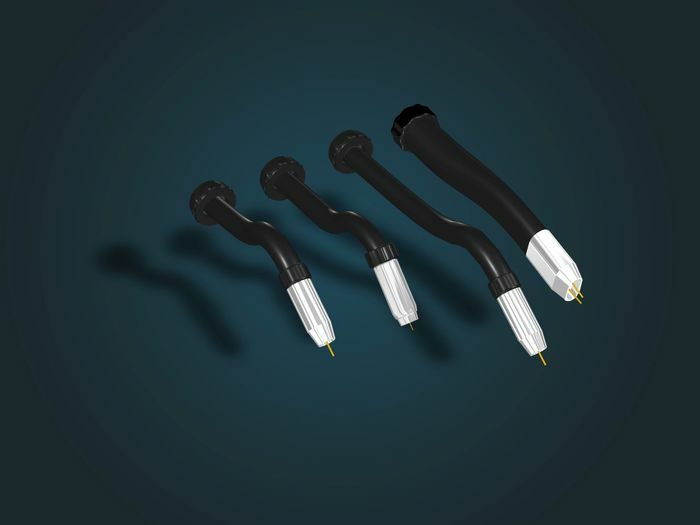 The welding torches are designed for use on robots for high-performance welding under harsh conditions. The slim design, together with the swan’s neck shape, permits the best accessibility even in narrow parts of the work piece. 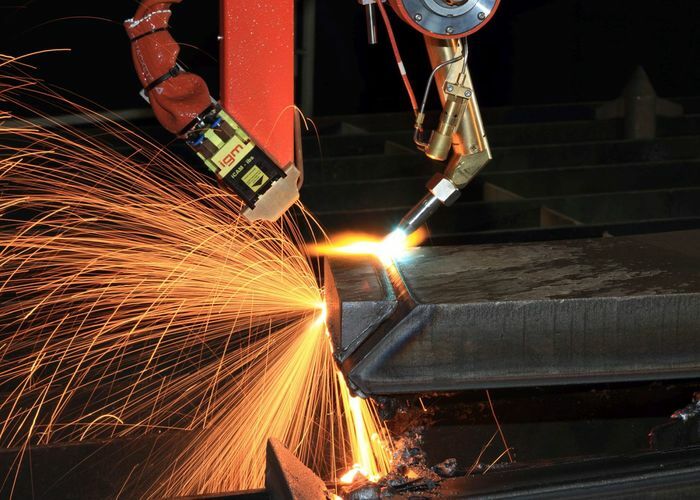 All welding torches provided as standard for igm robots have a particularly stable design with intensive water cooling and a quick-release coupling. They are also configured for pneumatic torch cleaning with compressed air at least 7 bar and for the use of the gas nozzle as a tactile sensor for program shifts. The arrangement of the contact tube in connection with the torch curvature ensures the forced contact of the welding wire. This ensures a uniform and constant current transition to the wire electrode under all conditions and wear conditions. 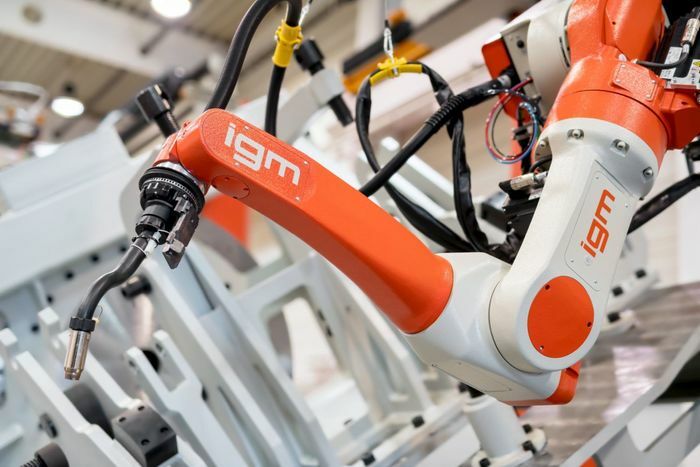 igm robots may be used for all non-contact welding and cutting processes. 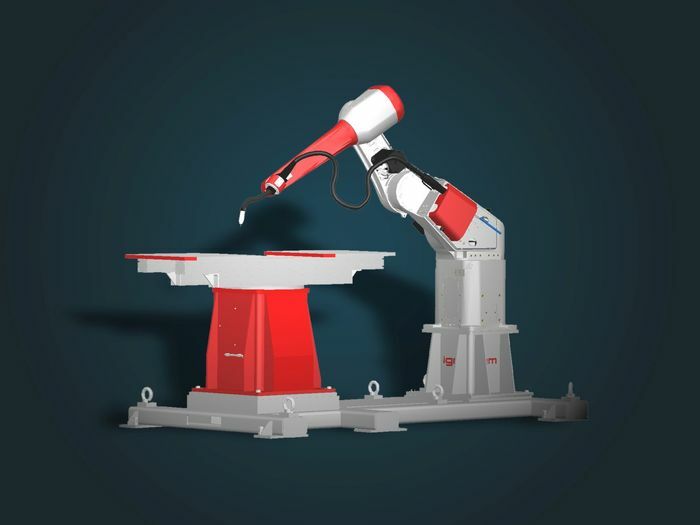 Power sources from many well-known manufacturers can be integrated with our robot systems for welding and cutting applications. Products range from digital inverter power sources for MIG/MAG welding, TIG applications, plasma cutting and welding apparatus to high-capacity devices for the tandem process. 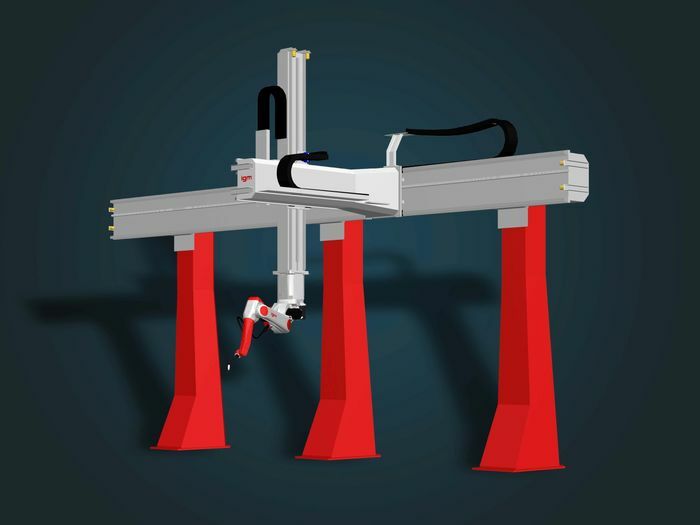 Sensor-controlled bevelling system for automated welding seam preparation of flat steel plates. The stable portal construction including application-oriented design of the cutting head supports all types of upper side or bottom side cuts with sensor-controlled online edge tracking. A laser camera measures the workpiece position and tracks along the upper edge, ensuring the requested land heights with a tolerance of +/- 0.5 mm even compensating heat distortion. 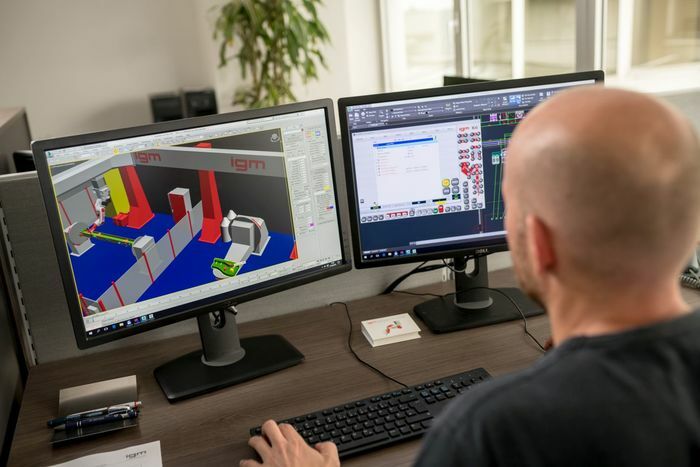 The system processes the required bevels, which are defined by simply clicking and inserting the geometry parameters in a CAD drawing of the component, with the specially developed software.